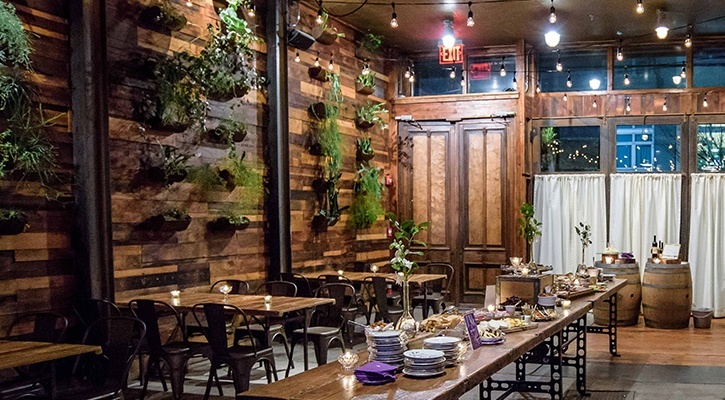 Each of our private spaces is uniquely suited to accommodate parties from 20 to 200 guests. 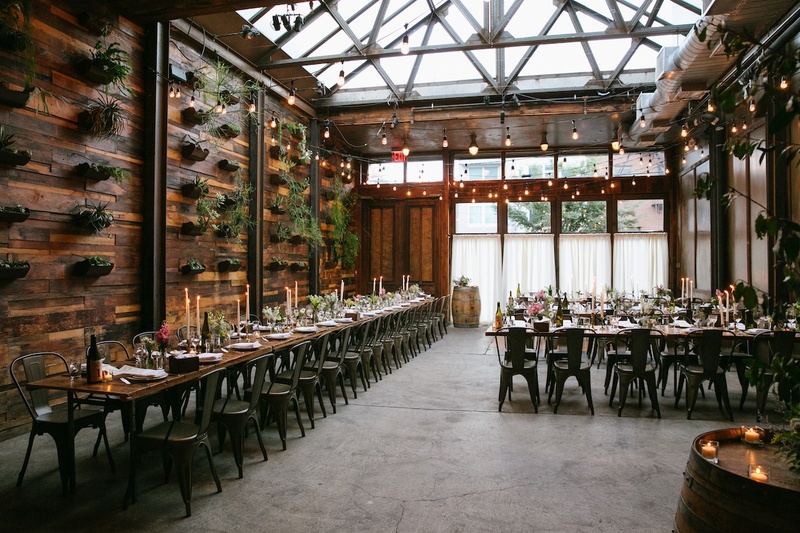 The Atrium and Harvest Room provide a warm mixture of industrial and natural décor, featuring a 25-foot glass ceiling and a succulent-covered reclaimed wood wall. 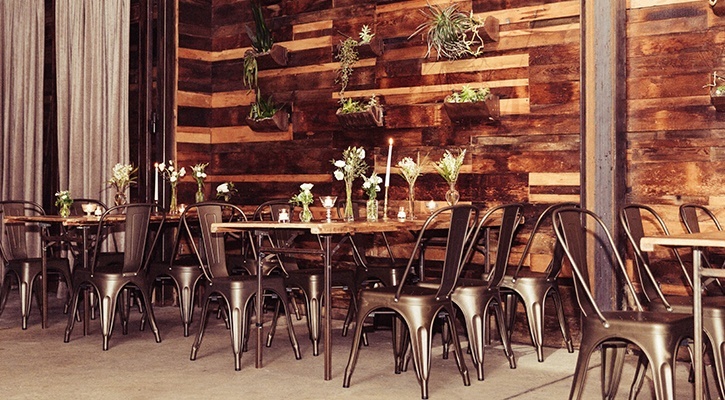 The space can accommodate 35 to 125 guests for a Family Style dinner or Cocktail Party. Our upstairs Parlor Room overlooks the Barrel Room, where we age our wine. 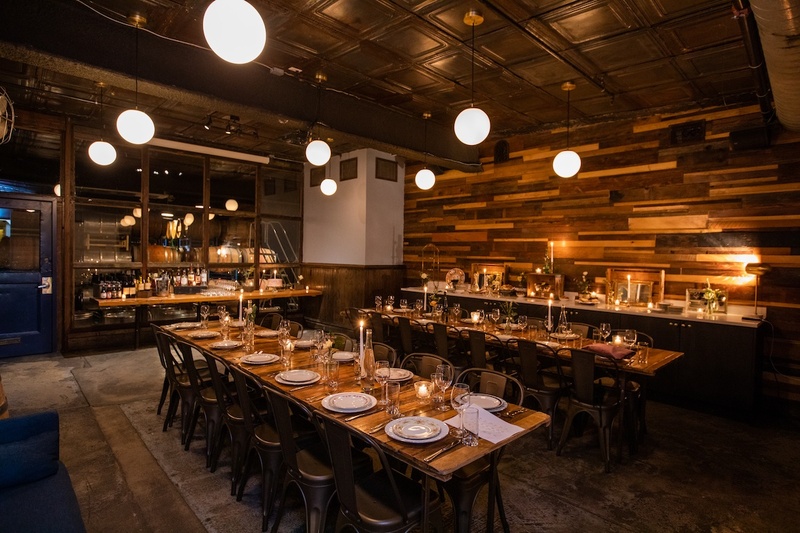 It’s perfect for smaller-sized gatherings and can welcome up to 28 guests for a Family Style seated dinner service or up to 45 guests for a Cocktail Party. A full takeover of the premises creates a truly unique and memorable experience for your guests. 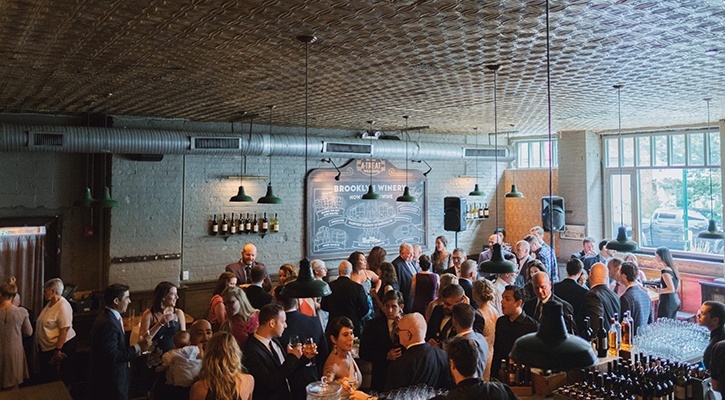 For events up to 300 guests for a cocktail party, and 165 guests for a seated experience, you can take advantage of all of the spaces Brooklyn Winery has to offer, including the Parlor Room, Portrait Room, Wine Bar, and Atrium. Integrate one of the following interactive wine experiences for a one-of-a-kind holiday celebration!